Summary from Goodreads: Juliette hasn’t touched anyone in exactly 264 days. I used this book as an example of “don’t judge a book by it’s cover” the other day to my sister. Why? The cover is beautiful, so promising, yet the book just didn’t deliver for me. Anyways, I’m not really sure how I feel about this book. I didn’t like it, but at the same time I didn’t find it to be too entirely awful…? Maybe I should’ve given it three stars, but I think I’m going to stick with two. I just found the main characters to be irritating, there was next to no world-building, and the writing wasn’t my style at all. First things first, I hated Juliette. She does that self pity thing to try to get attention, like calling herself ugly for example and then everyone else has to rush in and tell her that yes, she is pretty. That’s seriously one of my biggest pet peeves when it comes to books in general. Juliette was very whiny and complained or cried about every little thing. After reading the rest of the series though, I can say Adam was the best in this book. That still doesn’t mean I liked him. Like Juliette, he came across as very needy. But he was also very possessive over Juliette, which got on my nerves (another pet peeve of mine. This book isn’t doing so well in my pet peeve department).I can’t decide who I hated more: him or Juliette. The relationship between the two of them just didn’t feel right to me. Like all of a sudden Juliette’s freaked out about him and then they’re in love? It was very forced and rushed. On top of that, it was insta-love (*sigh* another pet peeve). The romance, like Adam, got worse as the series went on though, sadly enough. The only things I liked were some of the side characters, Kenji and James. Kenji always brings his sense of humor to the “darkest” times (notice the air quotes as this book as not nearly as dark as people say it is) and James is just adorable. Cellmate jumps to his feet. Overall, I did not enjoy this book at all. 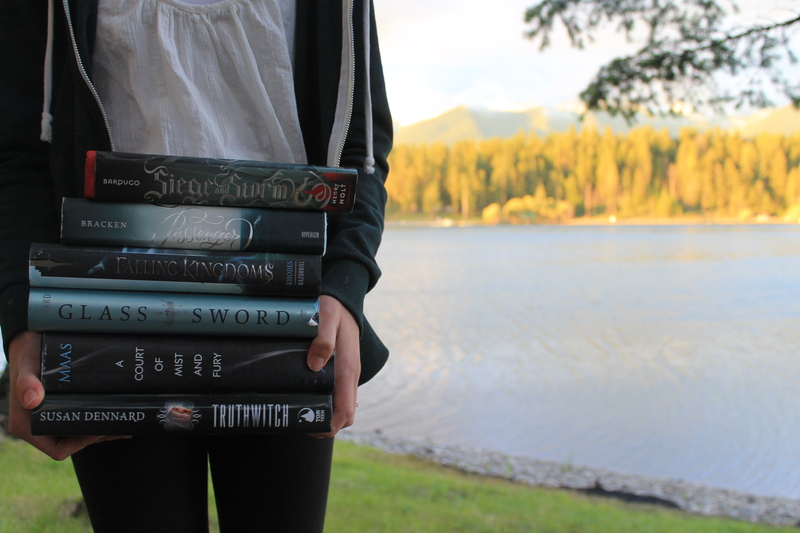 The only reason I even continued with the trilogy was because I owned all the books. A lot of people did enjoy this though, so if it sounds appealing to you, then give it a try, otherwise, it’s not worth it. Summary from Goodreads: Life in the outer realm is a lawless, dirty, hard existence, and Solara Brooks is hungry for it. Just out of the orphanage, she needs a fresh start in a place where nobody cares about the engine grease beneath her fingernails or the felony tattoos across her knuckles. She’s so desperate to reach the realm that she’s willing to indenture herself to Doran Spaulding, the rich and popular quarterback who made her life miserable all through high school, in exchange for passage aboard the spaceliner Zenith. When a twist of fate lands them instead on the Banshee, a vessel of dubious repute, Doran learns he’s been framed on Earth for conspiracy. As he pursues a set of mysterious coordinates rumored to hold the key to clearing his name, he and Solara must get past their enmity to work together and evade those out for their arrest. Life on the Banshee may be tumultuous, but as Solara and Doran are forced to question everything they once believed about their world—and each other—the ship becomes home, and the eccentric crew family. But what Solara and Doran discover on the mysterious Planet X has the power to not only alter their lives, but the existence of everyone in the universe. I’m honestly not sure how to feel about this book. It wasn’t bad, but I really didn’t like it either. Up until about page 250, I was bored out of my mind and kinda confused. It just took me way too long to actually get into this book. Solara is a hardworking criminal and a mechanic. She has no money, but dreams of leaving and getting out to the outer realms. So to get to the outer realms, she begins to work for the wealthy and selfish Doran. But Doran does not make life easy for her, after holding a grudge for many years he tries to do whatever he can to make her life as bad as possible. Doran does change a lot over the course of the book, so I liked that. The romance was probably one of my favorite parts. It felt kind of cliche, two people who hate each other but then start to have feelings for each other. I still actually really enjoyed it though. The whole book was full of cliches, really. There were somethings that happened that were totally predictable and cliche at the same time. There were quite a few side characters that just confused me. I often got mixed up as to who was who, and who was doing what and why. I don’t know, they all just blended together and weren’t very memorable to me at all, to be honest. I honestly felt kind of confused about the whole world. There definitely could have been more world building and the world could’ve been fleshed out more. Of course there was some world building, but I felt like all the space travel and colonies could have been explained better. Bad world building caused for a confusing plot though, especially in a book that so heavily relies on world building. I really wasn’t sure what was going on most of the time. The writing in this book is beautiful though. This is the first book I’ve read by Melissa Landers but I can already tell she is a great author. Just the plot didn’t interest me in this book. I was half tempted to give up around page 150 but the writing stopped me from doing so, I’m glad I didn’t stop though because it got better, I can say that at least. 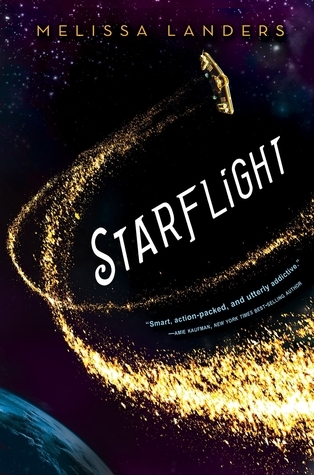 Overall I would say that Starflight is an enjoyable book, but it wasn’t anything great. In fact, it was quite confusing, cliché, and predictable at times, but still a very fun read. Even though I only gave it 2.5 stars, I still recommend you give Starflight a try. I’m sorry you didn’t enjoy Starflight. 🙁 I absolutely adore the book, and thought it was a beautifully written space opera. I agree that there were some cliche things going on, (the ending was pretty predictable as well) but I enjoyed it nevertheless! I hope your next read is better. Aww too bad you didn’t enjoy these book (I’ve never actually read either lol). 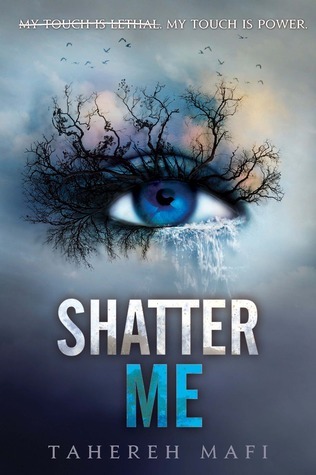 I’ve heard so many mixed review about the Shatter Me series, especially how annoying Juliette is and the style of writing. Haha when you like the side characters more than the protagonists 😀 I’m kind of conflicted about the hate to love romances because sometimes they’re entertaining and other times, they’re just annoying. Great reviews Adalyn! !